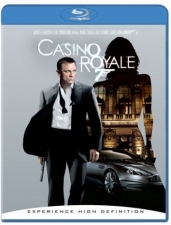 Hollywood In Hi-Def sat down with Casino Royale director Martin Campbell and talked about James Bond in HD. Specifically Blu-ray. Campbell says he can’t wait to see Lawrence of Arabia in HD. He also talks about why he didn’t come back for Bond 22. David Arnold was recently at the International Film Music Conference and Soundtrack.net was there to snag some pictures and tell the tale. Young Bond Dossier snags a shot of the Hurricane Gold audiobook cover. Yeah, it looks like an audiocover, but it also looks rather lame considering all the cool stuff they’re doing for the hardcover book. Would have been better with a gold look like the book. In my opinion anyway. Oh well. I’ve actually never listened to any of the Young Bond audiobooks, but they’re narrated by Charlie Higson. In the UK anyway. In the U.S. Nathaniel Parker did the first two. He actually stars in Stardust which was released today. Awhile back I mentioned that Raymond Benson was going to be attending Hofstra University in Hempstead, New York as the 2007 Joseph G. Astman Distinguished Conference Scholar for their upcoming conference “Bond, James Bond–the World of 007″. Well CBn got the press release and the details for everything that’s going to go on during the event.